Ace Hi Plumbing, Heating & Air serves the communities of Fort Collins, Loveland, and Estes Park with quality and affordable AC service, from maintenance, repair, and installation. 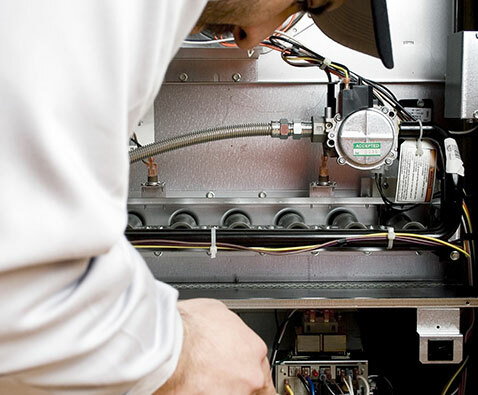 All of our technicians have the skills to handle any type of AC repair. No job is too big or small, and we guarantee complete customer satisfaction with every project we take on. Your AC service needs in Northern Colorado is our responsibility. Most people think that air conditioners simply lower the temperature in their homes by pumping cool air in, but in reality, the process involves removing warm air from your house and cycling it back in as cooler air. In fact, think of your air conditioner as a refrigerator without the insulated box, since it uses the evaporation of a refrigerant to provide cooling. Air conditioners aren’t one size fits all, and an improperly sized air conditioner can result in poor performance and high energy bills during the cooling season. At Ace Hi Plumbing, Heating & Air, we offer in-home assessments to determine why your current A/C system may not be functioning the way it should. We will give you a quote on any air conditioner repairs needed. However, if a replacement system makes more sense than an AC repair, we’ll be in the best position to recommend the most cost-effective unit for you. The best way to prevent needing air conditioning repair is to ensure that it’s properly maintained. Whether you’re not sure where the air filter is located or if the word ‘coil’ make you nervous, the HVAC technicians at Ace Hi Plumbing, Heating & Air will be there to help ensure that your air conditioner is properly maintained and healthy so that it lasts as long as possible. For those who do feel comfortable enough around their AC system, here are some of the best ways you can keep your AC working as efficiently as possible. Cleaning or switching out the air filter is one of the best ways you can maintain your air conditioning system. The filter should be inspected each month, especially during the summer when the unit is being used the most and there is a higher chance of it becoming clogged with dirt and allergens. A clean filter will allow air to freely flow through the system and will prevent it from seizing. The air conditioner itself, as well as the thermostat inside, need to be kept in as cool a place as possible. When the unit is left in the sun, with hotter air surrounding it, it will have a harder time cooling the air. Similarly, if the thermostat inside your home is near a lamp, TV set, or other appliance, the air surrounding it will be warmer, causing it to run longer than necessary, putting additional stress on the system. The condenser unit pulls air in to cool it. Along with the air, it’s also pulling in pollen, dust, and other particles that can get trapped, preventing air from flowing efficiently. With a hose, wash the condenser from top to bottom. A thorough cleaning should be completed by an HVAC professional once a year. Using a cup of chlorine bleach, and rinsing the drain with a gallon of water, will keep the lines clear of any build up of debris. If the lines do become clogged, it can prevent significant leaks. Typically, homeowners should call for professional air conditioning maintenance at least every year, depending on how often the unit is used and how well it’s being taken care of. Improved indoor air quality: Prevent pollen, fungi, and bacteria from entering your air. Increase energy efficiency: Improve energy, emissions, and cost savings by 10 to 40 percent. Fewer costly AC repairs: Preventative care can save you up to 90 percent in repair costs. The unit will last longer: Dirt, dust, and grime can reduce the lifespan of any air conditioner. No one wants to go without reliable AC in their home. Whether it’s 70 degrees or 100 degrees, knowing that it’s there, and can be turned on when the heat becomes unbearable, can give homeowners peace of mind. So when you go to turn on the air conditioning, it’s not a good feeling when you don’t hear the system start running. When this happens to you, Ace Hi Plumbing, Heating & Air will be there to diagnose the problem, offer an honest opinion on what the best course of action is, and quickly get started on fixing it. Needing air conditioning repair doesn’t have to mean that you’re stuck feeling uncomfortable in the heat for weeks — with our HVAC technicians, you can be confident that you’re getting the best service in Northern Colorado. When the filter is clogged with dirt or lint, it will prevent air from properly flowing through this system. This is one of the biggest reasons why homeowners call for AC repair. The filter should be changed frequently, around every one to three months depending on how often the unit is in use. If light doesn’t pass through the filter, it’s time to change it. Refrigerant is a fluid/gas that facilitates an AC system turning hot air into cold air. Refrigerant flows through a series of coils, so when there is a leak in the coils, or there isn’t enough refrigerant running through the system, it won’t be able to cool the air before it is pushed throughout your home. An air conditioning repair technician will quickly be able to identify if there isn’t enough fluid or if there are any leaks. 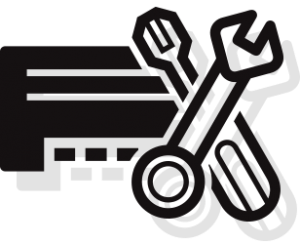 As the refrigerant is turning hot air into cold air, it creates condensation, which is collected in a drip pan and drains out through condensate drain lines. Over time, these lines can become clogged with dirt, dust, and lint, preventing the water from draining properly. When the drip pan fills up with water, it will trigger a float switch that shuts down the AC unit. Within the air conditioner, there are two capacitors, one to activate the motor and one to keep it running. When the capacitors aren’t working, the motor won’t be able to power the compressor or the fans, causing the AC unit to not run efficiently. These coils absorb heat in the air, which is then turned into cold air. Over time, the coils will become corroded and will fail to collect heat. These may only need to be maintenanced once every three years. This is how refrigerant is pushed through the coils to turn hot air into cold. When it’s not working, the air conditioner won’t cool your home. When there is too little refrigerant, the compressor can overheat and cause it to seize. When there is too much, refrigerant will return to the compressor, causing it to fail. What should you do when the AC isn’t working? If there aren’t any obvious signs why the unit isn’t working, shut off the system and call Ace Hi Plumbing. The sooner an experienced technician can inspect the unit, the better. When issues are left untreated, there is a greater risk of a more expensive issue occurring. Unfortunately, air conditioners will eventually wear down, no matter how well it’s taken care of. While they tend to last between 15 and 20 years, with regular use each summer, moving parts, coils, and the motor will degrade and eventually cause the unit to shut down. Deciding whether or not to replace the air conditioner is a big decision, especially when it breaks down suddenly and you’re left with a surprise $3,000 to $8,000 bill. When it does come time to schedule an appointment for air conditioning installation, the team at Ace Hi Plumbing, Heating & Air will be there to help you decide. Do I Need AC Installation? Or Just Repairs? As much as we’d like there to be, there isn’t a clear answer to this question and it can depend on various factors. If you need an opinion from an experienced HVAC technician, feel free to give us a call. In the meantime, here are a few things to consider that can help you make an informed decision. If your air conditioner is 15 or more years old, there’s a good chance that you’ll start needing more frequent repairs. If you notice that the condenser needed to be replaced in the spring, and then the motor needed to be replaced last week, the cost of these repairs may add up to be more than the unit is actually worth. Keep in mind that most homeowners will spend between $5,000 and $7,000 on a new air conditioner. There’s a simple formula that can help determine if costs are too high for your air conditioner — take the age of the unit and multiply that by the cost of the repair. If that number is higher than $5,000, it’s time to replace the unit. So, if your unit needs a new start/run capacitor that costs $300 (parts and labor) and the air conditioner is 16 years old, that equals $4,800, which is just below the cost of a new air conditioner. Unless there is something significantly wrong with your unit, it can be hard to tell if your utility costs have gotten higher. But over the months, if you start seeing a slow rise on your bill, then the unit may not be performing as efficiently as it once did. Again, if the air conditioner is 15 plus years old, replacing the motor or changing the air filter will probably not have a big enough impact and you may need to replace the unit. There a few things to consider when you’re shopping for a new air conditioner. If you have any questions about what is best, or most efficient, for your home, give the HVAC technicians at Ace Hi a call today. With over 20 years of experience, you can trust that we’ll provide an honest opinion that comes from experience and knowledge. SEER: Seasonal Energy Efficiency Ratio, this is how efficient an air conditioner is. The minimum is 13, but more energy-efficient units can go up to 22. Ask our HVAC technicians what you should be looking for in your home (your location’s climate can make a difference). The Size: Selecting the right size unit for your home will depend on the size of the house, its location, the home’s insulation, the square footage, and other factors. Ducts: When your home has forced air, the contractor can simply connect the unit to the ducts that already exist. If the ducts are old and inefficient, however, it may be worth it to have a new duct system installed. Whether you need simple maintenance, a part replaced, or it’s time for a full replacement, the team at Ace Hi Plumbing, Heating & Air are on your side. We are passionate about providing each of our customers with service that is honest and reliable and quality products that are affordable. If you live in the Estes Park, Loveland, or Fort Collins area, give our HVAC contractors a call today. Ace Hi Plumbing, Heating & Air provides high-quality service, honest opinions, attention to detail, and more to Northern Colorado. Get in touch with us today for all of your heating, cooling, and plumbing needs.